Richard produces the Tristan da Cunha Newsletter, which has expanded under Richard's management from 12 to 48 full colour pages. and to every Tristan Island family. 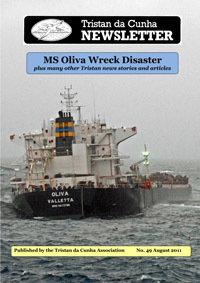 Richard is writing this book on behalf of the Tristan Association and in liaison with Tristan Islanders. It is hoped to publish the book by 2019. Richard has written on commission for various newspapers and magazines. Further enquiries are welcome. 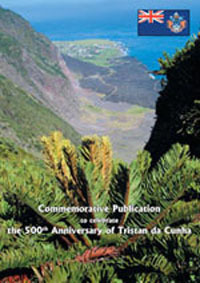 Richard acts as agent for the Tristan Government by running the Tristan da Cunha Photo Portfolio which provides high quality images for publication to publishers. These are for one-off publication without transfer of copyright. Enquiries welcome. to coincide with the Quincentenary of Tristan's discovery in 1506. It is available from the Tristan Association (www.tristandc.com) or Miles Apart. Richard has written a complete revision of the Tristan section of this internationally available guide in collaboration with Mike Hentley (Tristan Administrator 2004/7). It was published in Summer 2007. and is available from Miles Apart for £15 including postage.